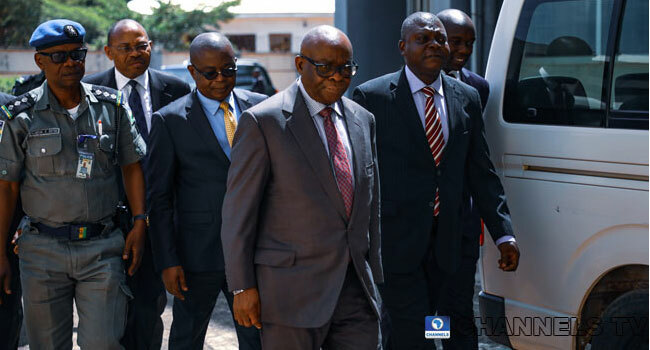 The Code of Conduct Tribunal on Monday fixed Thursday 18th of April for its final judgment in the charges of false and non-declaration of assets instituted against Justice Walter Onnoghen. The three-man bench led by Mr. Danladi Umar fixed the date for judgment after the prosecution led by Mr. Aliyu Umar (SAN), and the defence led by Mr. Okon Efut (SAN), adopted their final addresses. 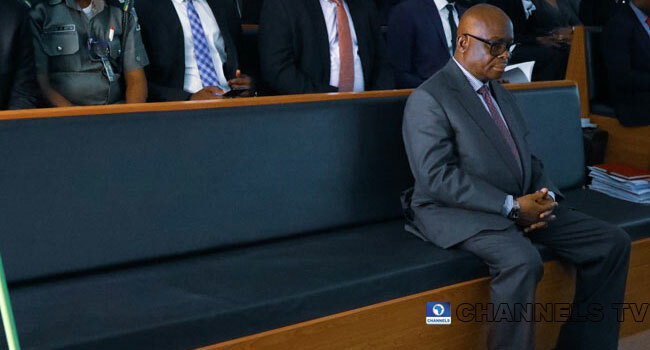 In the course of the proceedings, counsel to Justice Onnoghen Mr. Okon Effiong in his submission says that when the CJN said he forgot to fill his asset declaration form it was not a confession and cannot be held against him. According to him, confession in law is not straight forward as writing that he forgot did not amount to an admission of guilt. He also faulted the charge for not following the element of an offence as created by the law. He also said that the prosecution failed woefully to prove the elements of the offence as contained in the 5th schedule of the constitution and urged that the charges be dismissed. Addressing the court on a false declaration or false statement. He said the provision talks about a false statement and not a declaration. He said a false statement that must be verified before it can be determined to be false or not. According to him, they established that there is a declaration but could not establish which if the statement were false cos it was not verified by a verifications authority as envisaged by law. He concluded by saying they are defective and ought to be dismissed completely. Responding, the prosecutor Mr. Aliyu Umar adopted the arguments in his final address as his submission and held that the prosecution has proven its case against the defendant beyond reasonable doubt and hold that he is guilty on all six charges. He added that in coming to a decision whether a person is guilty or not it is the hard facts before the tribunal that will aid the determination. He said it is a misconception by the defence to think that a charge is null and void because it was not elegantly drafted. “The defence has not shown that the charges mislead the defendant in any way,” Umar said. 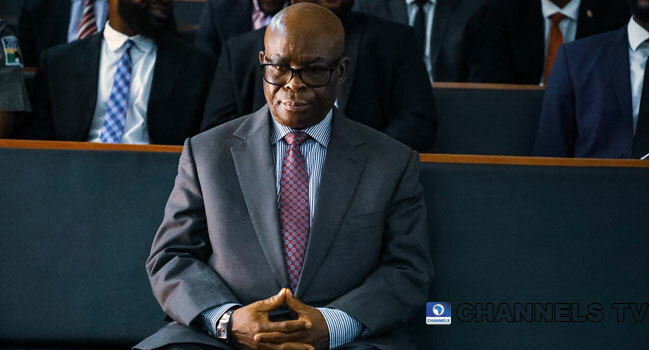 He further noted that the statement by justice Onnoghen that he forgot, is an admission of the offence. 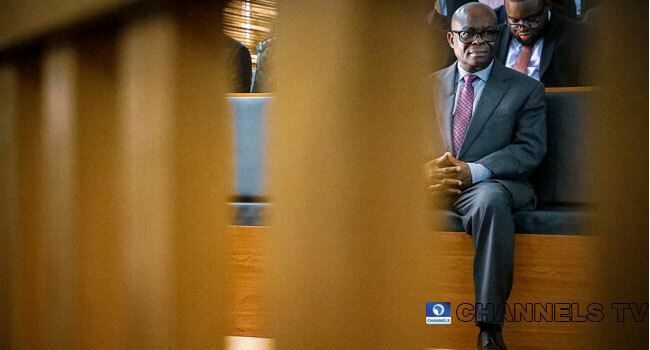 Responding on point of law, counsel to Justice Onnoghen Mr. Okon Effiong said that by section 36 of the Constitution a person can only be found guilty and punished only based on the law. He also said that “the law says substantial declaration and not total” adding that the law makes room for where there is an omission, a person can regularise his form. Chairman of the Tribunal Mr. Danladi Umar wrote his ruling on the next step in the trial and reserved judgment to Thursday the 18th of April 2019 by 9am.